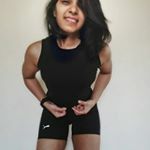 An Engineer by degree but fitness lover at heart. I have been into sports since childhood and a fanatic for adventure sports. I was healthy but lacked the right guidance and knowledge to build an aesthetic body. I started learning about nutrition, human physiology and applied it to myself. Glad to say, it worked out for me. Now, I guide people who find themselves in a similar place. I teach them how to find a balance between nutrition and workout. I create habits. According to me, fitness isn't about going to the gym but about being healthy and active with a peaceful mind. Demographic data for @caloriesqueen's audience is available for free to influence.co users.